Congratulations to Corey and Alison, now The Hansons, who shared their vows last Sunday. You know how much we love First Looks, and here is another great example! 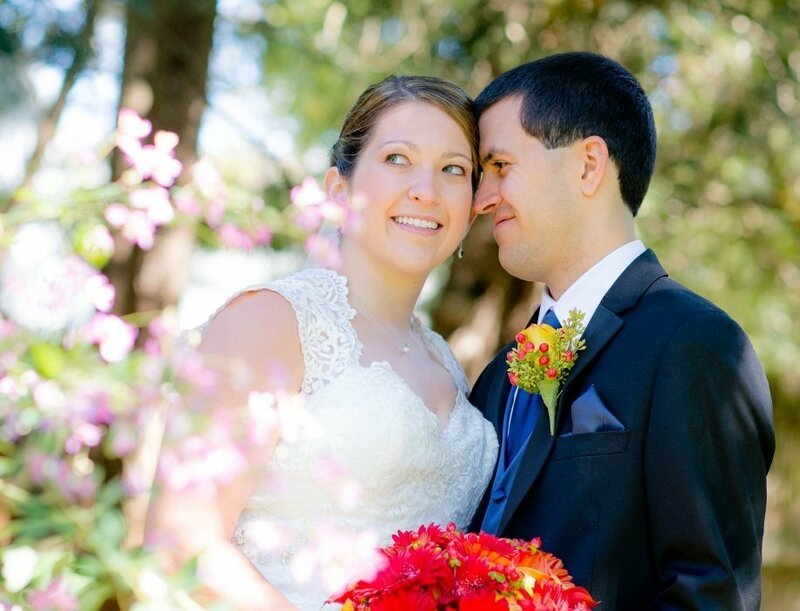 Corey and Alison did their First Look at a friends home in Reading, Ma… it was really a gorgeous location with stone brick walls, beautiful gardens and a house with really interesting architectural details. 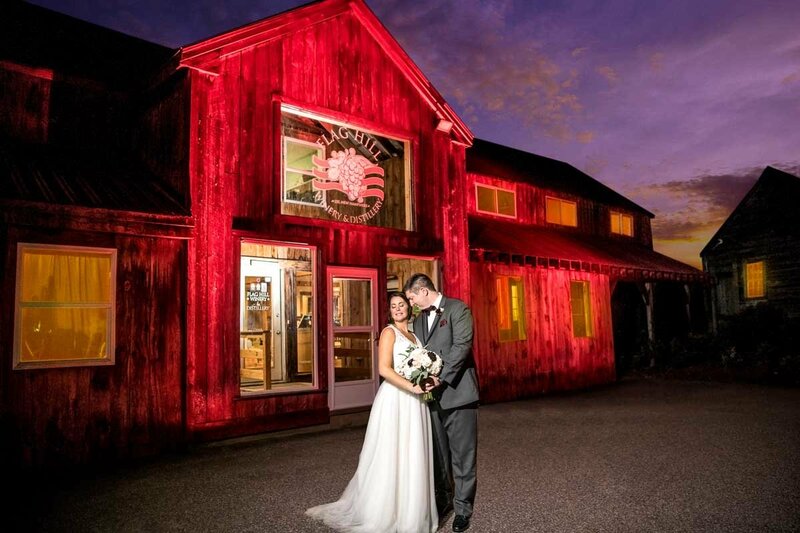 After the First Look, the couple had a church wedding in Reading, then headed over to the Warren Conference Center and Inn for their reception. It was about a 45 minute drive. There were some delays due to an accident, but no worries because these guys did a First Look and a large majority of their photos were done already! The day started early for Alicia and Manie’s Quaint Wedding at the Warren Inn in Ashland, MA last weekend. We really enjoyed our day with both of them & all of their family and guests. The staff at the Warren is amazing too, Ashley handled everything perfectly! A side note, during a break after their wedding ceremony, the venue provided this tray of food for the wedding party. Well, it was just Lana & I there at the time with Alicia and Manie. They served this unbelievable raspberry brie bread thing that we destroyed! Everything about their wedding day was high class. 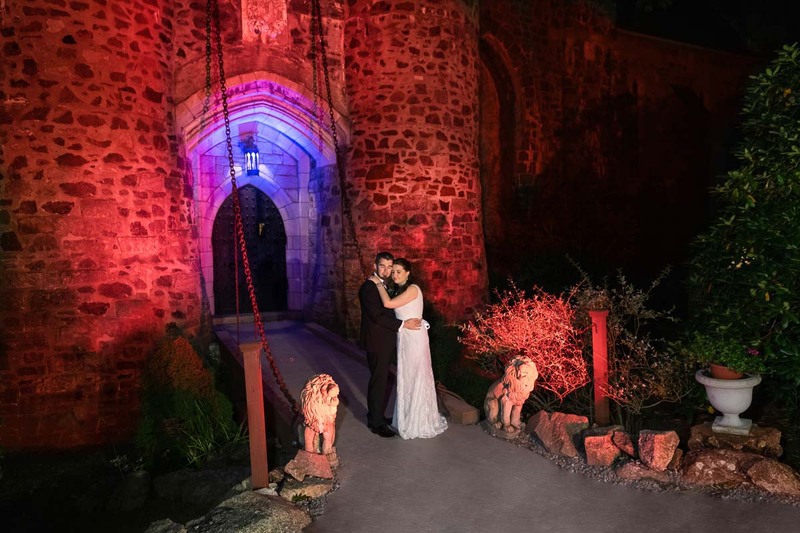 The venue catered to every detail, the couple enjoyed a ride in a BMW Z4 Roadster, but most of all… all of their family and friends were just great. One of the interesting moments for me was listening to the Best Man and Maid Of Honor’s toasts. Christian and Cara are the their younger brother and sister. Both of their toasts touched on the same point; as siblings they just were not very close due to age differences. However, over time, they have grown closer and have meaningful relationships today. 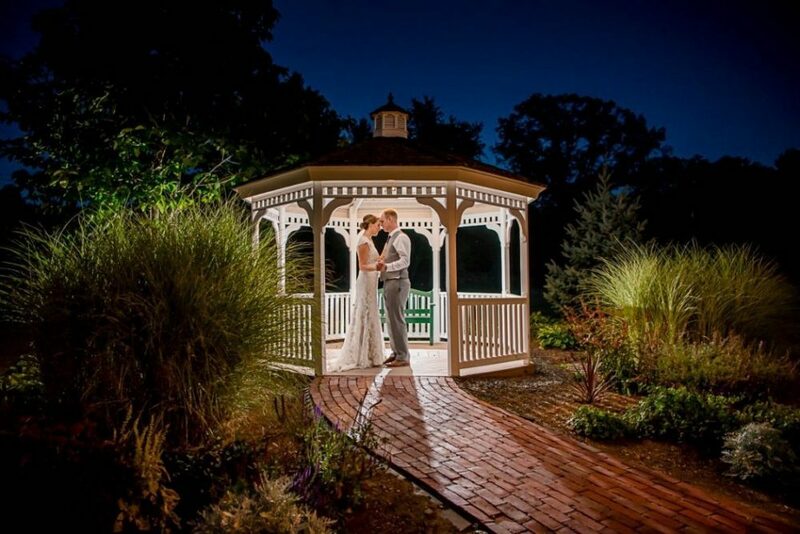 It was a long day and towards the end of the reception, we asked the Newlyweds if they wanted to capture a Night Shot in the Gazebo. Given they were tired, I didn’t think they would be interested. To my surprise, Manie said “Let’s go Now!” Good choice, we captured the great portrait below! As photographers, it is so great to spend such an important day with our clients. 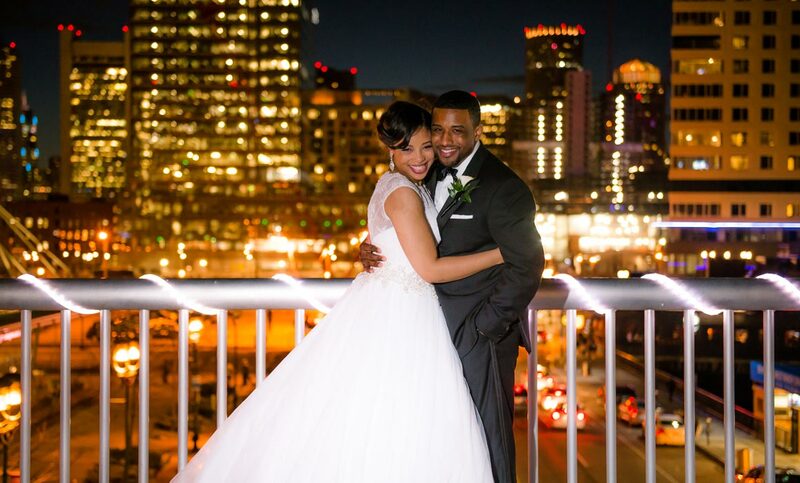 Through the day, clients turn into newlyweds, newlyweds turn into friends. We feel very fortunate getting to know Manie and Alicia. They make great sole mates. Congratulations again guys!! !